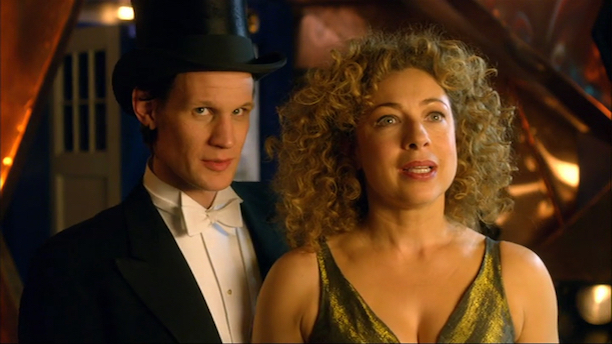 The Husbands of River Song - Finally! 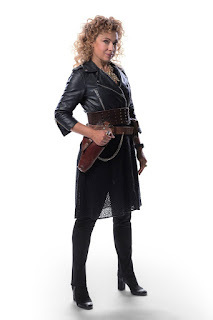 River Song is back! It is not a secret that I have not loved the past couple of seasons of Doctor Who. The episodes have been okay for a one time viewing but I'm used to wanting to watch a Doctor Who episode again right away. That hasn't happened in 2 seasons... Until now. The 9th season has not been a total loss. Comparatively to the 8th season, there are a few episodes that I will most likely go back and watch again. Namely the last episodes of the season. Especially, Heaven Sent and Hell Bent - both wonderful performances by Capaldi. "Husbands" I've already watched twice. The hook in "The Husbands of River Song" was wonderful to see, yet so heartbreaking. Magnificent chemistry between them, romantic, yet sad due to what we all know will come afterward. Also for River fans like myself it's especially sad because now the odds of another River story are slim to none. Immediately after this episode I watched the end of "Forest of the Dead." I wanted to see if they truly matched up. I had never thought of River knowing, or having any sense that her death was coming. 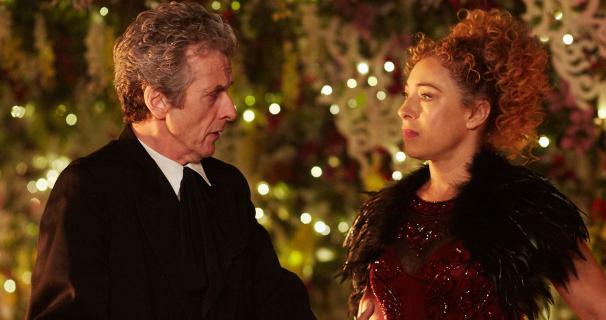 There were a couple of small continuity issues between "The Husbands of River Song" and "Forest of the Dead" but nothing major. In "Forest" River says "You came to my door..." which obviously didn't happen. She also says "This means you knew all along..." Which at first I thought was a continuity issue, for after "Husbands" that would not surprise River. But then I realized it can be forgiven for context. In "Husbands" she thinks the Doctor won't be able to save her, where it's River's choice not to be saved in "Forest." So, for me it works. There was the blinding continuity issue with the mini-epsiode Night of the Doctor: Last Night until River says how the Doctor kept canceling their trip to the Towers, "Remember, when there was two of you?" That line was said off-camera and I wonder if it was Moffet's "oops" moment and was done in ADR (the re-recording/correction of audio) specifically for continuity. I'll have to look closer on my next viewing. Oh, yes. There will be another viewing of this episode. Probably several viewings. 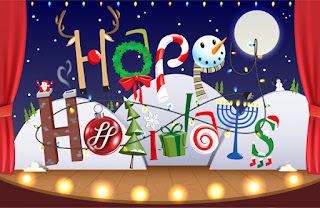 Wishing you all a very happy holiday weekend, from all of us at Thoughts from a TV Geek! Remember to spend time with friends and family BEFORE binge watching your favorite shows. The first trailer for Star Trek Beyond has been released! I haven't been excited about this movie, especially with the new Star Wars on it's way. But this looks good. Apparently there was a version of the trailer allegedly leaked earlier today. So Paramount decided to go ahead and release the official first trailer. The movie isn't due out until July 22, 2016 but it couldn't hurt Star Trek Beyond getting publicity with producer and former director J. J. Abrams' release of Star Wars: The Force Awakens this weekend.